Let’s Check The Best Dog Jackets 2018! In this post, we are going to explore which dogs may benefit from a dog jacket and how to properly fit your canine companion with the best dog jacket for him. Plus, we'll also take a look at our top five picks for some of the best dog jackets on the market today. Walking your dog at night just became safer with the Casual Canine Reflective Jacket. 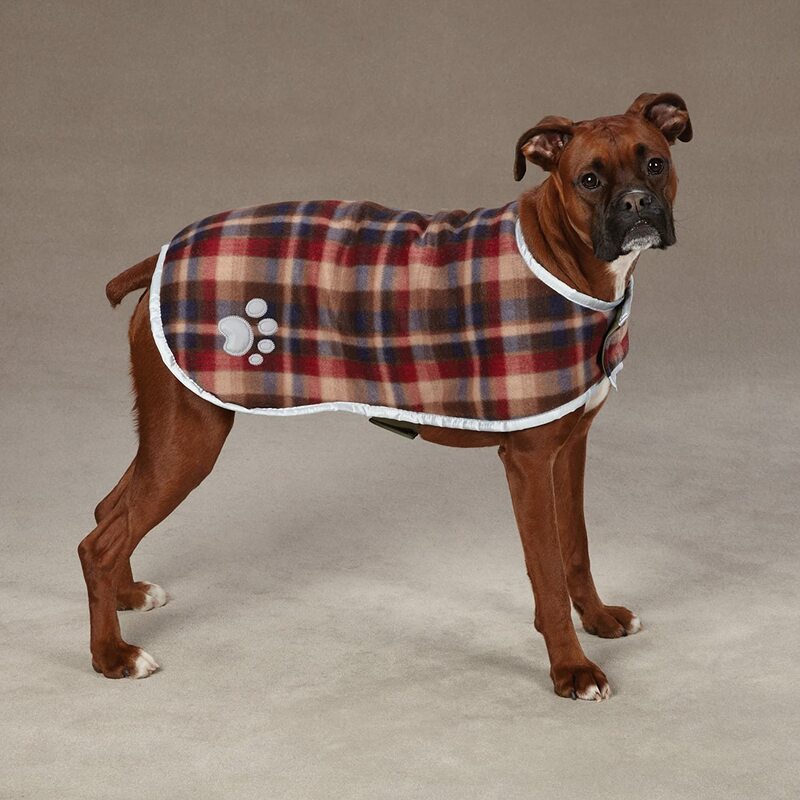 This vest-style dog jacket is made from brushed velvet and lined with a cozy fleece for added warmth. The adjustable Velcro closures at the neck and lower chest ensure a snugger fit. Plus, this company has added two reflective strips across the back of this jacket for added safety. 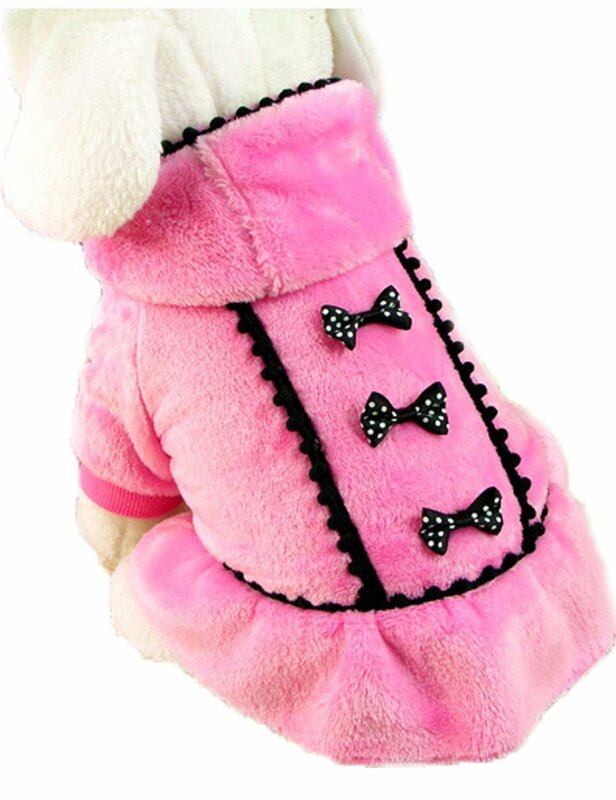 The one thing that may be of a concern to pet parents is this style of jacket does not cover the belly very well, so it may not be suitable in extreme weather conditions. 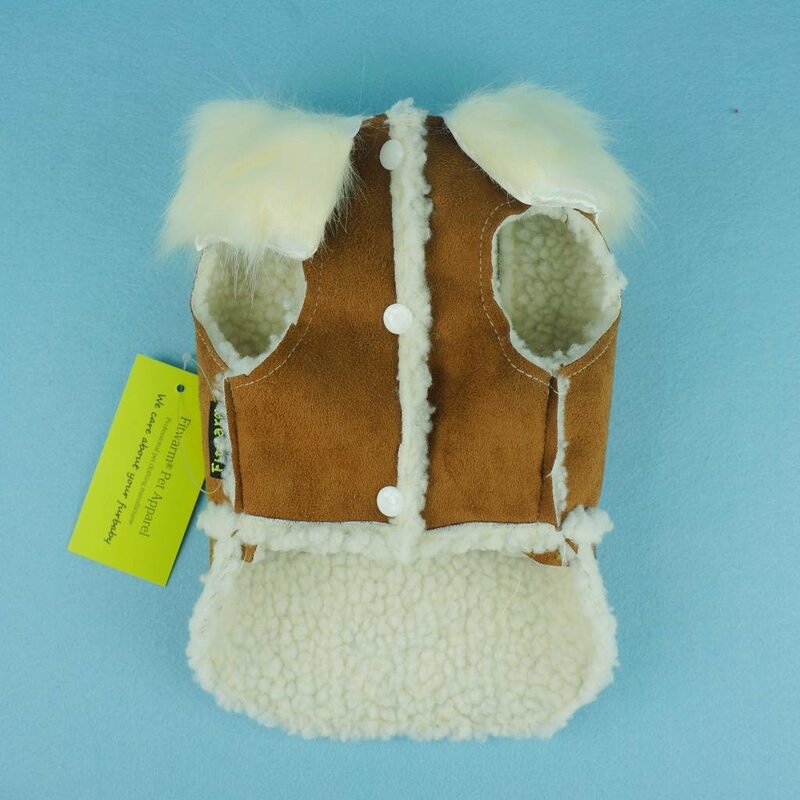 Your dog will be stylin' and warm in this faux suede, fleece-lined jacket. The snap closures will provide a secure fit, while the design of this jacket will keep your dog's entire body covered. It even has a faux fur collar that is simply adorable. This jacket also comes in four sizes and measures around the chest and down the back. This jacket does not have a hole in the back for a harness. This jacket is as cute as it is warm. It is made from high quality super soft fleece with the added benefit of a hood for those extra nippy days. It's also trimmed in black with three adorable little bows running down the back - perfect for pictures or just taking a walk around the block. This dog jacket is not just warm, it's waterproof. 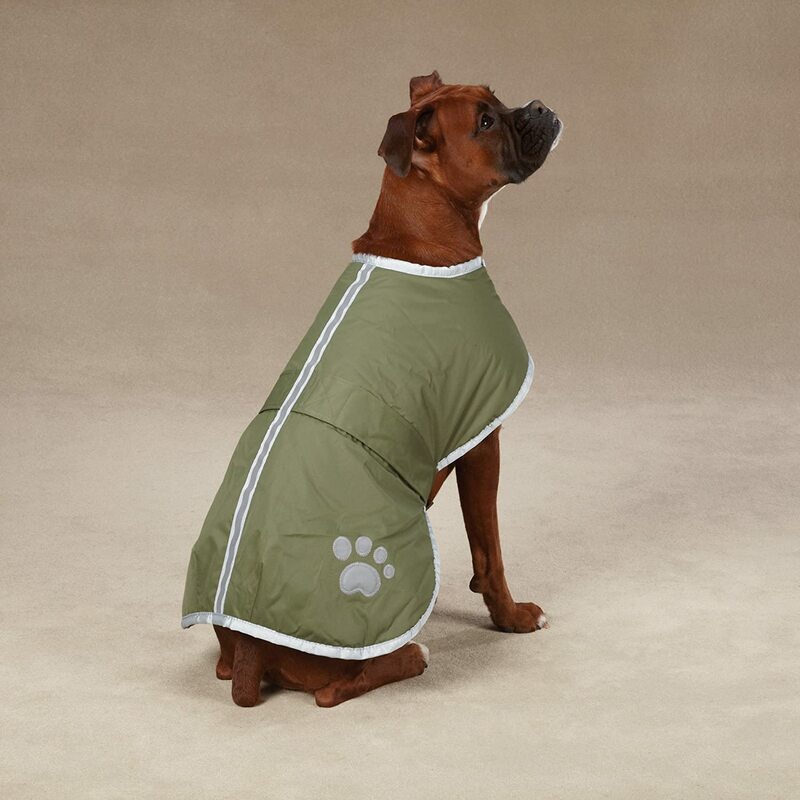 The nylon outer shell will keep your pooch dry and happy on those rainy days, while the soft plush inner layer will provide the warmth your pooch craves. Plus, the tall collar will help keep the wind and weather from blowing down your dog's neck. AGPtek Fleece Dog Jacket doesn't have smaller sizes as it starts at large. The number one best dog jacket spot goes to the Zack & Zoey Nor'easter Blanket Coat. This cozy little number has a water resistant outer shell and a soft fleece inner lining, which can be worn in reverse. The reflective stripe that runs along the whole back of the jacket adds a good safety factor when you're out later in the evening with your pooch, while the cute paw print is just plain adorable. Plus, it has both Velcro neck and belly closures for a more accurate fit. This jacket doesn't provide a lot of protection for the neck. 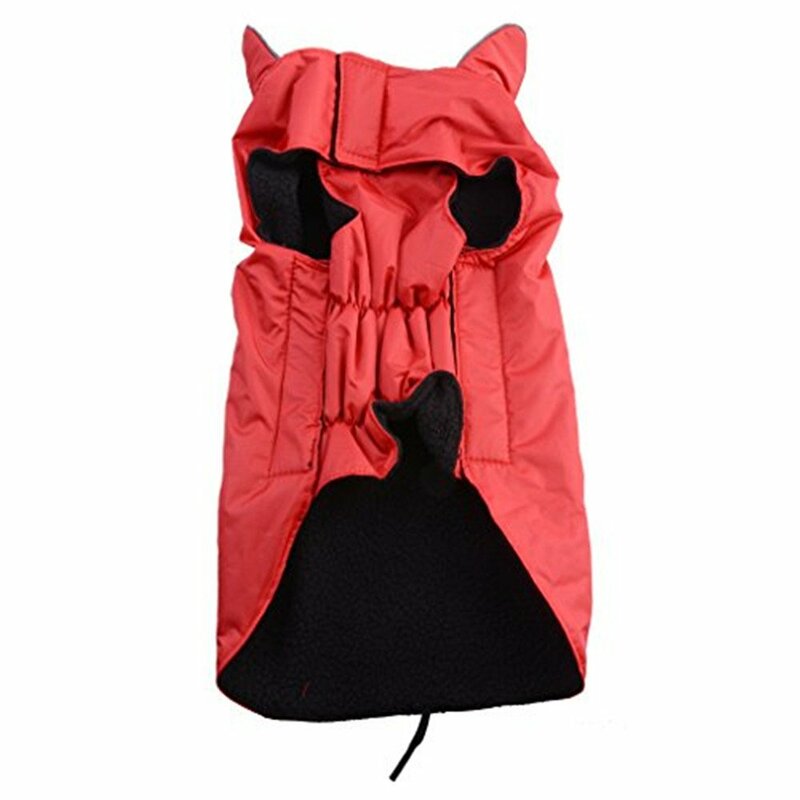 Which Dogs Will Benefit From a Dog Jacket? 1. Small or Short - dogs that are small and those that have short legs tend to lose their body heat more quickly in the colder months simply because they are closer to the ground. 2. 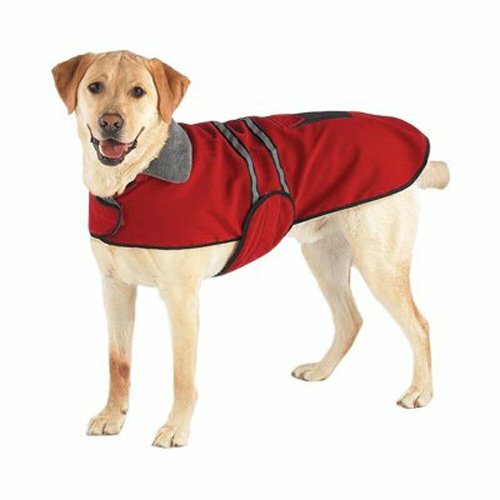 Seniors & Dogs with Arthritis - Older dogs and those that suffer from arthritis should have a jacket to help keep their joints and overall body warm. 3. Thin Coated Dogs - if your dog has a very thin coat, regardless of her size, then a warm jacket should be used to help keep her insulated in the cooler weather. You will want to get the proper fit for any jacket you purchase for your dog; however, your canine companion may not always be with you to try it on (this is especially true when ordering online). To measure your dog for a jacket have him standing up and run the tape measure from the base of his neck (this is where his collar sits) down to the base of his tail. This number is the size you will want in a jacket. Note: Some manufacturers may size their jackets depending on the chest size or from the withers to the tail, so be sure to check to ensure the right fit.